Cool down, relax, and solve all your ventilation woes, with the compact and colorful mini fan. Imprint your company’s logo out on the fan case, to gain extensive visibility for your brand. Cool down, relax, and solve all your ventilation woes, with the compact and colorful mini fan. Imprint your company’s logo out on the fan case, to gain extensive visibility for your brand. 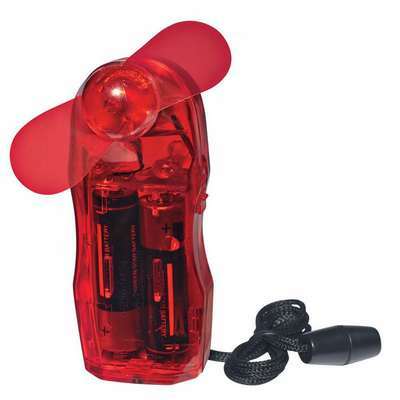 The mini fan has plastic safety blades that are soft and rounded. It has a breakaway neck cord attachment; for easy transport. Hand out the mini fans as gifts to your valuable employees, and esteemed customers, to increase brand recognition. 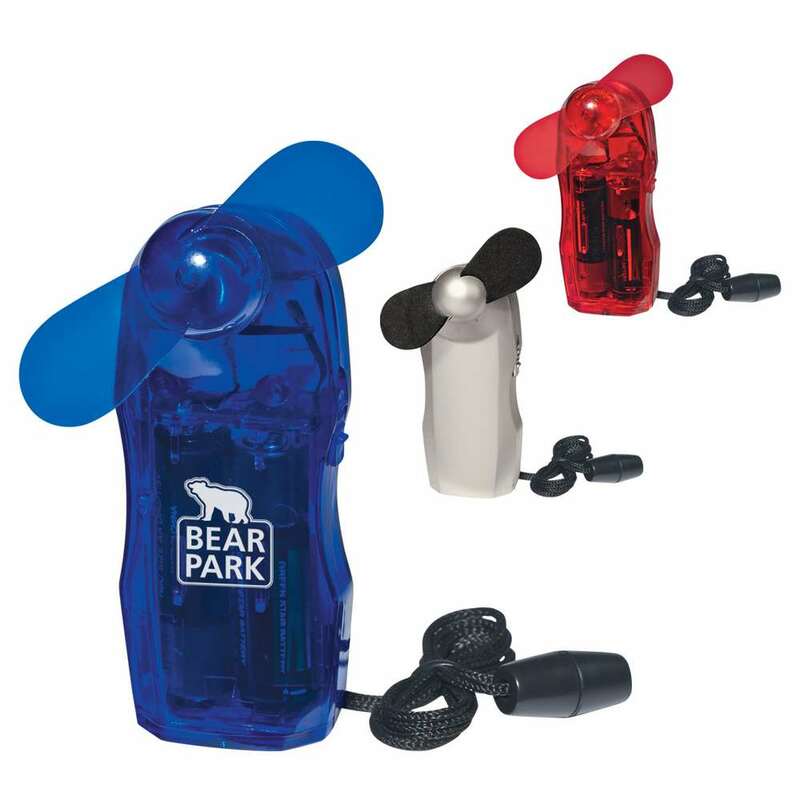 Customize these battery powered mini fans and give them away at outdoor events, for maximum brand exposure. 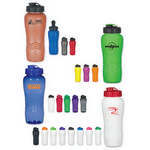 Ensure that you have safe and hygienic liquids at your disposal, with the poly-clean 26 oz. wave bottle. Ace the next promotional event by flaunting your company’s logo on the attractive Non-Woven Promotional Tote Bag. 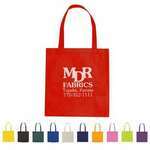 Screen print your brand’s logo on this tote, to increase brand visibility.